Canada announced plans Wednesday to phase out two pesticides widely applied to canola, corn and soybean crops in this country and linked to bee and now also aquatic insect deaths. In doing so, Canada would follow the European Union which banned the neonicotinoids in May after recent massive die-offs of bees. Health Canada's Pest Management Regulatory Agency said outdoor use of clothianidin and thiamethoxam would be banned starting at the end of 2019, following a public consultation. It cited concerns for aquatic bugs that are an import food source for fish, birds and other animals. But research has also linked the pesticides to the collapse of bee colonies around the world. 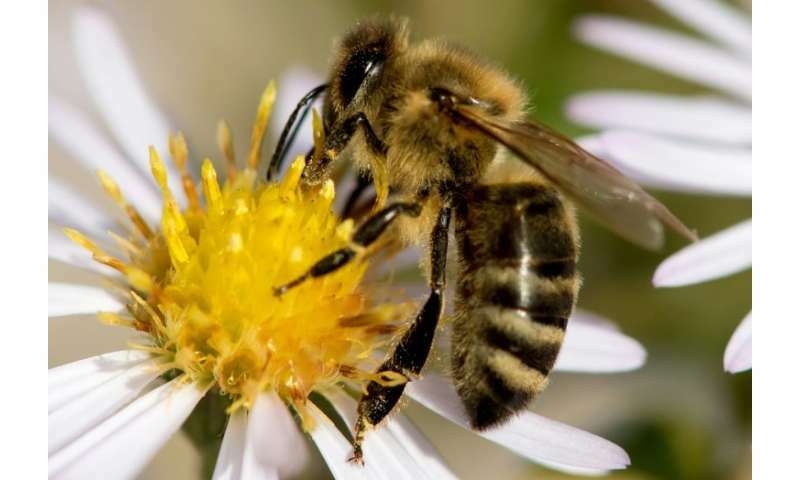 "Over the last decade, the amount of neonicotinoids used in agriculture has increased substantially," the Pest Management Regulatory Agency said. "Recent water monitoring data indicate that neonicotinoids being detected in some Canadian water bodies are at levels that cause harm to aquatic insect populations." The Canadian Association of Professional Apiculturists recently reported the loss of almost 33 percent of bee colonies across the country over the past year. Reasons included a harsh winter, pests and diseases, and habitat destruction—as well as exposure to harmful pesticides. Ottawa and provincial governments have previously imposed restrictions on the use of pesticides harmful to pollinators. But this marks the first outright ban. To date, Canadian government scientists have reviewed more than 1,000 studies related to neonicotinoids and received more than 55,000 comments in policy consultations.